Discover and learn to distinguish between aromas and flavours of the different types of olives in the region: arbequina and empeltre. Discover the varieties of spiced oils. Learn about the use and applications of oils in the kitchen. Introduction to the world of oil. Guided tour of the installations to see how the oilmill operates. Introduction to olive oil tasting; how to recognise different varieties and discover its flavours, aromas and characteristics. Tasting of the empeltre and arbequina varieties of the region. 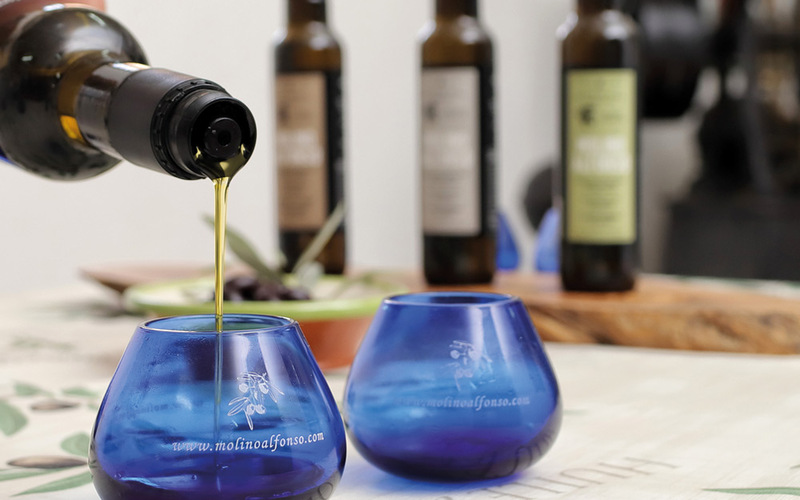 Visit our installations, introduction to olive oil tasting. Gift: A 250 ml can of Extra Virgin Olive Oil, first harvest.